He’s a rising star, and a man to watch. This 26 year old has paid his dues in motor sport. Like many champions before him he began in karting at age 16, and his track record to date includes a large variety of open wheel categories to challenge him, a number of wins and podium positions, and an especially sweet achievement - being named Scuderia Ferrari’s number three driver in 2017. 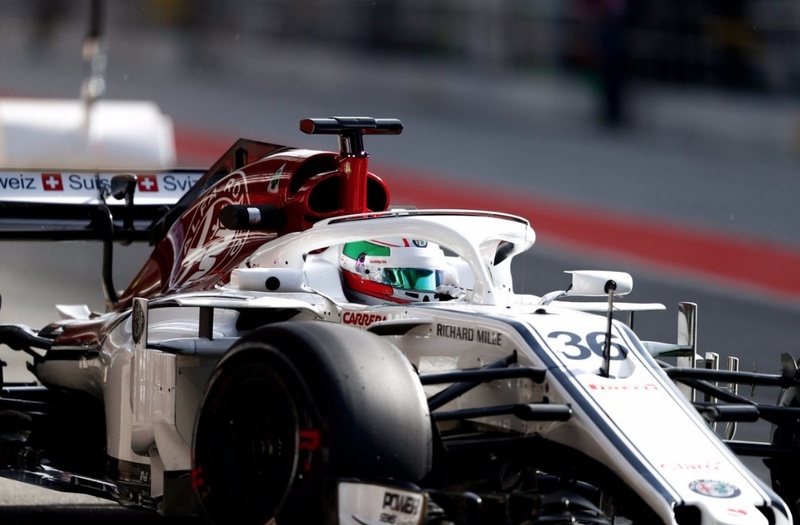 In just 10 years he has driven in Formula One for Ferrari and Haas, and in 2017 debuted in Melbourne for Sauber, filling the seat of Pascal Wehrlein who was not fit enough to race. 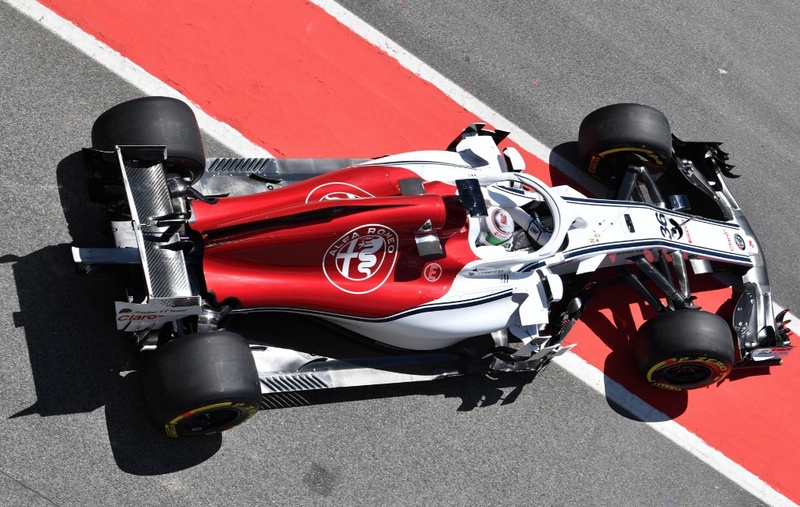 This year he signed a one year deal with Sauber, which has been renamed Alfa Romeo Racing, and will partner veteran Kimi Raikonen. He began his open wheeler career seriously, in 2013, finishing as runner-up in the British F3 Championship. The next year enjoyed two wins, and ended in 6thplace in the FIA European F3 Championship. In 2015 he was runner-up in the FIA F3 Championship, with six victories, and won the Zandvoort Masters of F3 race. 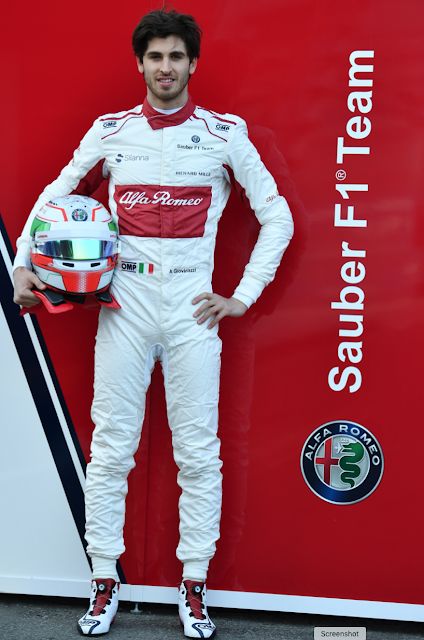 In 2016 raced with the Prema Team in the International GP2 Series finishing in second place with five wins, and three podiums. Among all this open wheeler activity he raced in the 2015 German DTM series in an Audi RS5, and in 2016 he participated in the FIA World Endurance Championship in a Ligier JS P2. In 2018 Antonio competed in the 24 Hours of Le Mans in a Ferrari 488 GTE Evo, finishing in 20thplace overall, and 5thin class. However last weekend in Melbourne, he had a disastrous race after running over debris from Ricciardo’s Renault, which not only damaged the floor of his Alfa Romeo, but this also destroyed his aero package, and finished in 15th, one lap down on the winner. 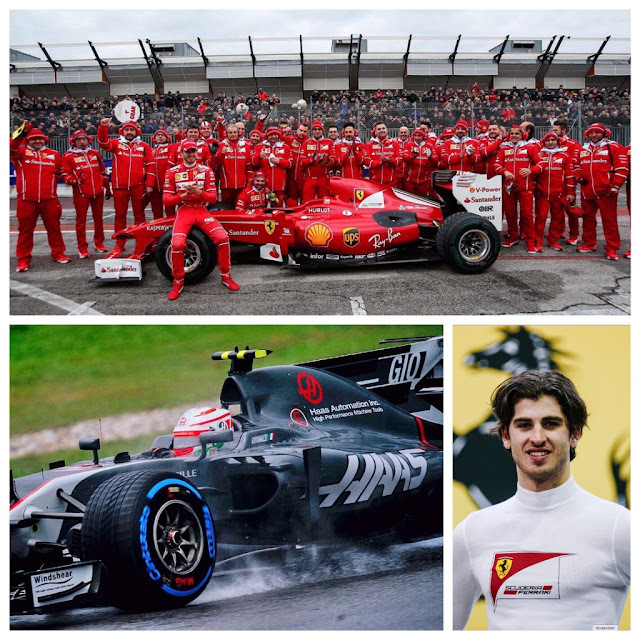 The important thing is that he finished, a very important result for Antonio's and his team's sponsors. Far from desolate, he says it’s all part of the experience, and given a clean start at the next race, he is confident the car is capable of much better performance. Interestingly when you compare his practice times with Ricciardo, they are separated by a sheet of paper. 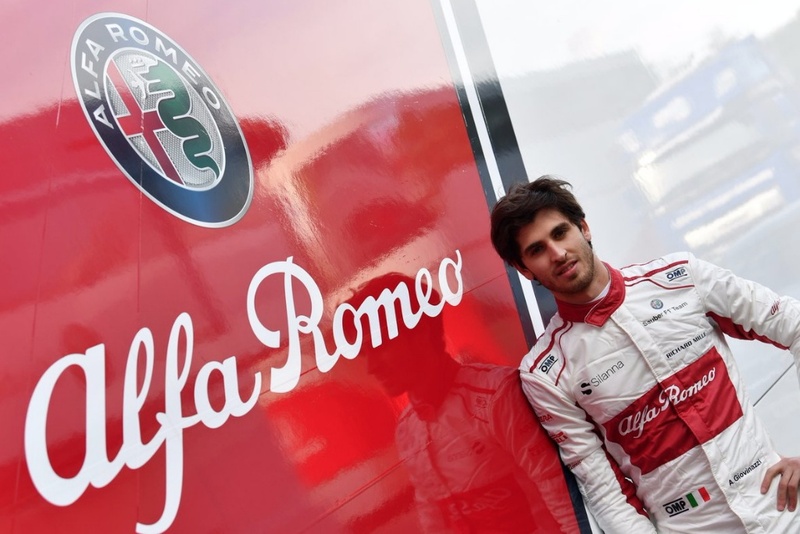 I think we need to watch his racecraft development, and I think there’s a lot of potential in this handsome young Italian. Antonio is managed by a close friend of mine, Enrico Zanarini, who has a great eye for talent and potential. 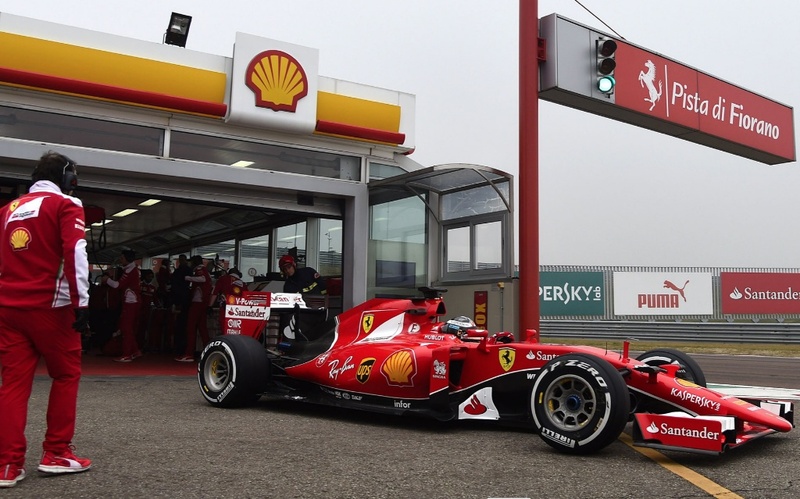 If we know the teams which will dominate the podiums, let’s keep an eye on Antonio’s progress.